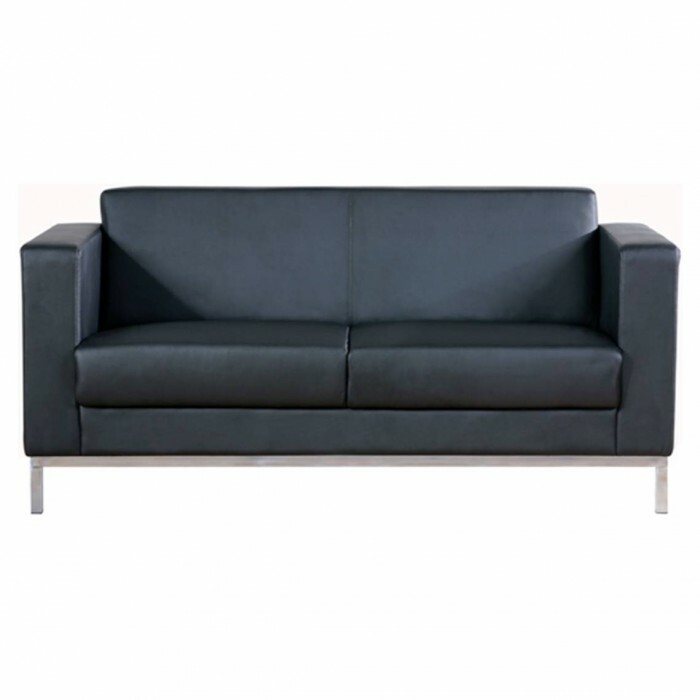 Sofa Colour : Black leatherette. Sofa Base : Polished stainless steel. Dimensions : 1660mm wide x 850mm high x 820mm deep. Seat size: 1390mm wide x 530mm deep. Features : Can be matched up with the Oasis Arm Chair. Ideal for : Events, shows, boardrooms, receptions and exhibition stands.